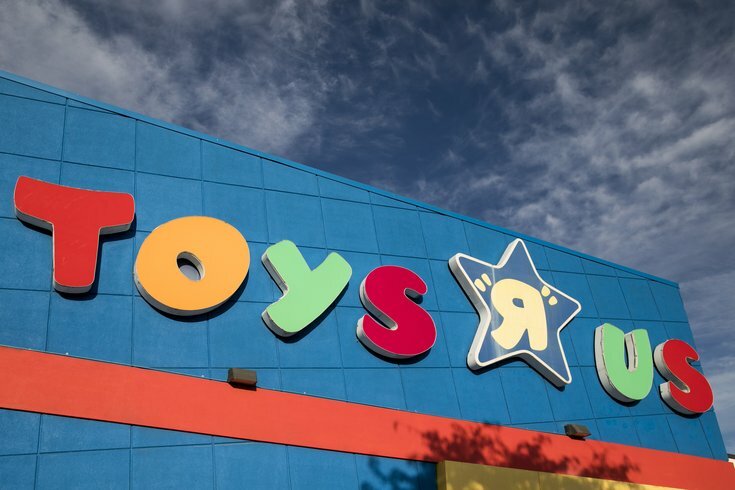 Toys R Us is shuttering 182 of its stores across the United States, and five in the Greater Philadelphia Area are among the casualties. The company's decision to close 20 percent of its retail locations is part of a Chapter 11 bankruptcy reorganization plan, according to USA Today. In a letter to customers Wednesday, CEO David Brandon said in order to stay viable and provide fair prices — both online and in stores – "tough decisions" had to be made. • Exton - 104 Bartlett Ave. This would seem to mean that, at least for now, the stores in South Philly and Northeast Philly have been spared. The stores on the closing list are expected to shut down between February and April. Remaining stores will still honor customer programs and gift cards, Brandon noted. The Wayne, New Jersey-based company has been challenged in recent years by online retailers like Amazon and larger chains like Walmart, the Associated Press noted. It filed for bankruptcy in September with $5 billion in debt.